WASHINGTON — A federal judge ruled that a class-action lawsuit involving drivers who have accrued unpaid tolls, as well as tens of thousands of dollars in fines, due to a problem with E-ZPasses can proceed. The suit seeks damages from Transurban USA Operations, Faneuil Inc. and Law Enforcement Systems Inc. (LES). 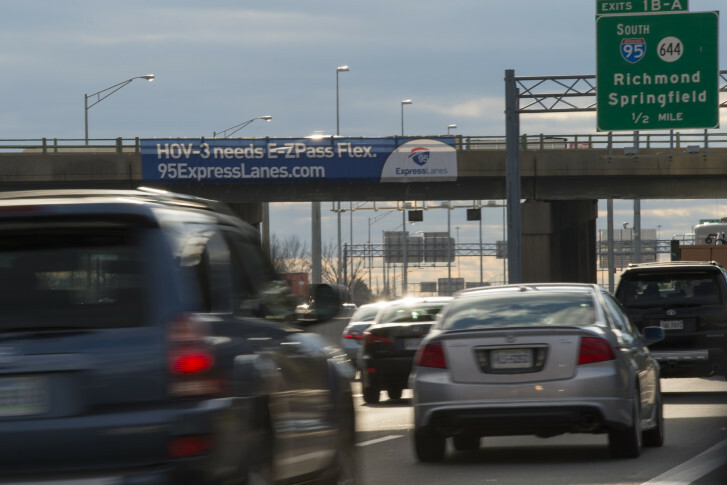 Transurban operates the 495 and 95 Express Lanes, which offer a quicker trip on the two interstates for those willing to pay a toll. Law Enforcement Systems is a Wisconsin-based company that Transurban contracts to collect unpaid debts that are past due. Faneuil Inc. is a company that Transurban and the Virginia Department of Transportation contracts to process violations and prepare for court cases against toll violators on the 495 Express Lanes, Dulles Toll Road and the 95 Express Lanes. U.S. District Court Judge James C. Cacheris ruled that six claims against Transurban, LES and Faneuil can proceed forward, while two others will be summarily dismissed. The issue is the Eighth Amendment’s ban on excessive fines: “We don’t think there will be any argument that it’s not a violation of the Eighth Amendment to charge somebody tens of thousands of dollars in fines for a five- or 10-dollar toll,” says Pizzirusso. Transurban spokesman Mike McGurk said the company is “pleased” the judge dismissed two of the claims. If the lawsuit proceeds to trial, it could affect thousands of drivers from Maryland, D.C. and Virginia. Transurban argued that it is a private company and therefore not subject to the Eighth Amendment. But Cacheris ruled that, for now, the allegation can move forward because there is a basis to argue that Transurban acts on behalf of the Commonwealth of Virginia. Transurban says it’s implemented a robust First-Time Forgiveness program that has helped more than 24,000 drivers in the past year. Transurban also caps the amount it seeks from the court to $2,200 plus court costs under the program. Transurban also adds that 96 percent of the trips on the 495 and 95 express lanes are paid in full on the road with an E-ZPass. Pizzirusso counters that the program is a great idea, but it is also a voluntary idea that Transurban can rescind at any time without consequence. The lawsuit now moves into the discovery phase for the next three months. In February, the U.S. District Court will rule whether to certify the drivers suing as a “class” with a legitimate claim to sue. If the court allows the case to proceed to trial, then it could be heard in March or April.